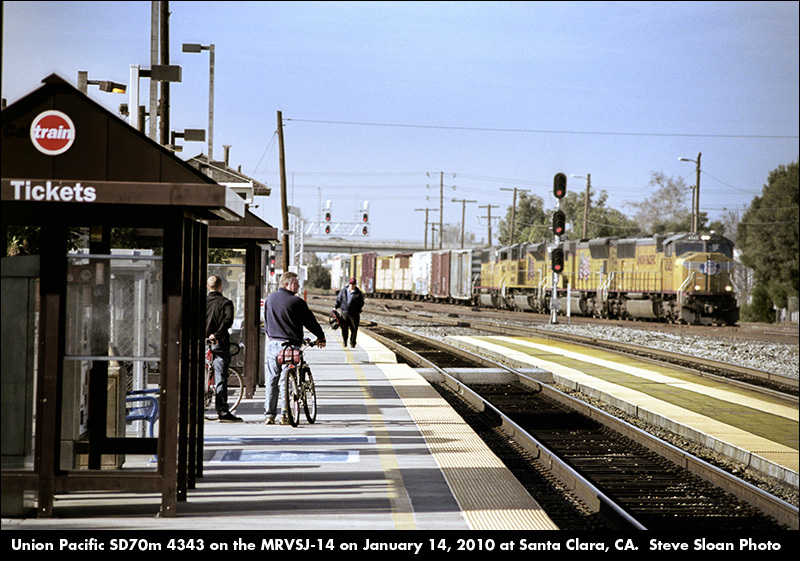 Caltrain F40 901 on January 14, 2010 at Santa Clara, CA. 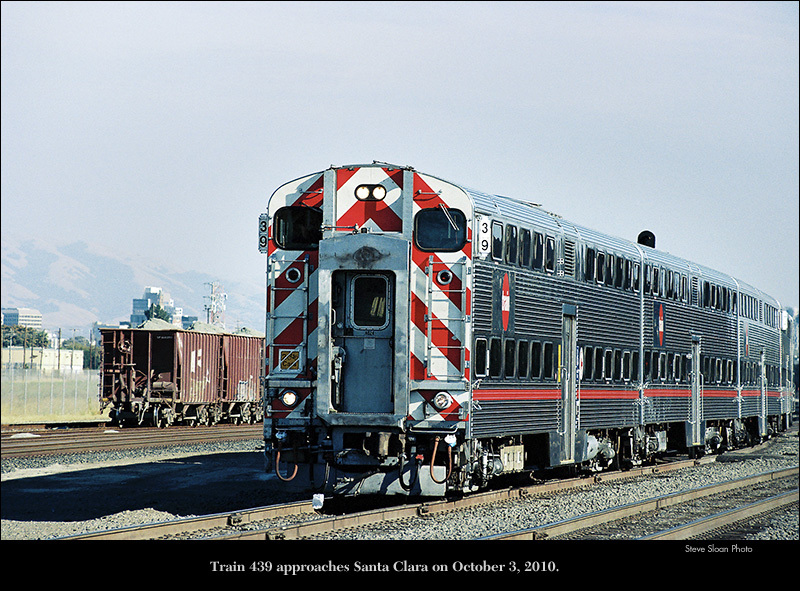 Caltrain JPBX 908 EMD F40PH-2, "Redwood City"
Joint Powers Board (CalTrain) JPBX 908 EMD F40, "Redwood City" built as CDTX 908. 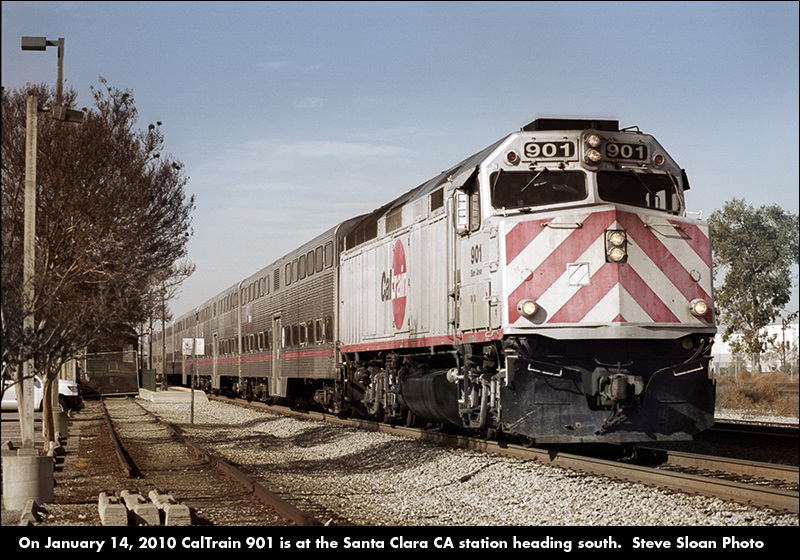 Caltrain Designation F40PH-2-CAT was built by EMD in April 1985 serial number 836077-9. 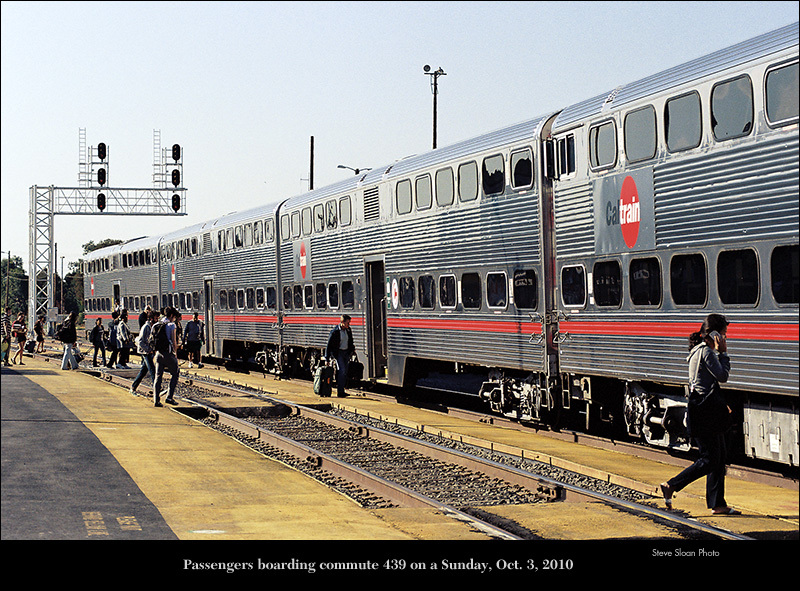 It was overhauled by Alstom in 1999. It is rated at 3200 hp and features a Caterpillar 6-cylinder HEP generator. 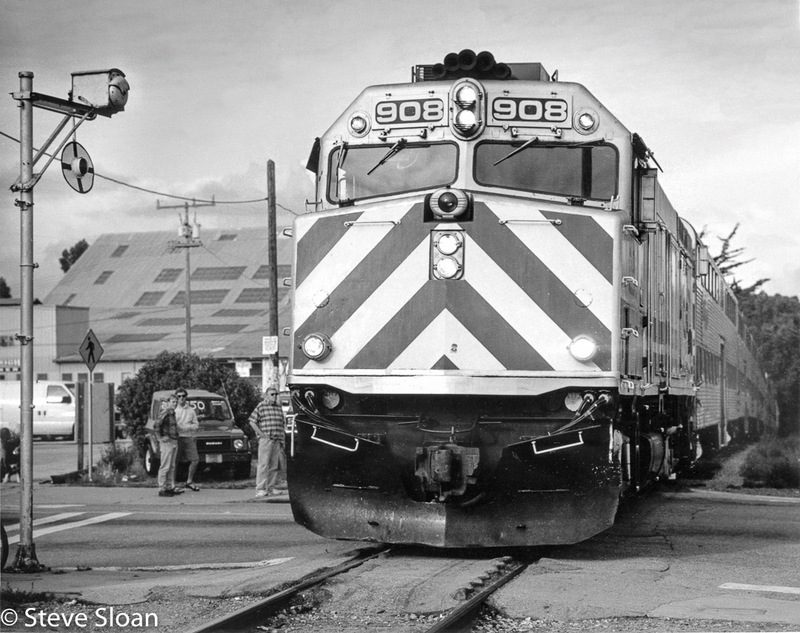 On Saturday, May 18, 1996 Caltrain 908 leads the Suntan Special across Seabright Avenue near the intersection with Murray St., in Santa Cruz, CA. It was still the SP then. 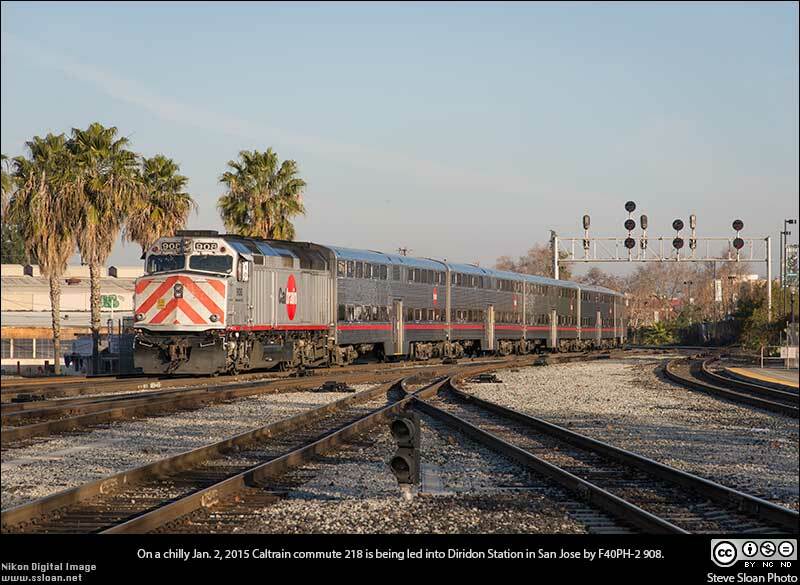 On a chilly Jan. 2, 2015 Caltrain commute 218 is being led into Diridon Station in San Jose by Caltrain F40PH-2 JPBX 908. 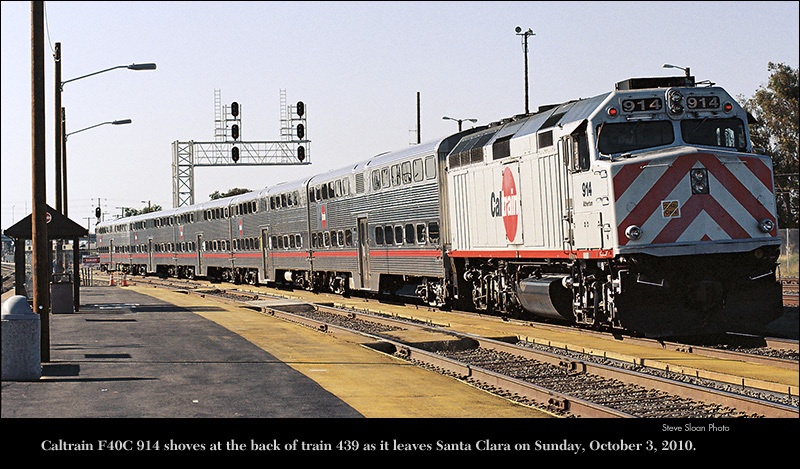 Caltrain F40 914 shoves at the back of train 439 as it stops at Santa Clara heading toward San Francisco on Sunday, October 3, 2010. 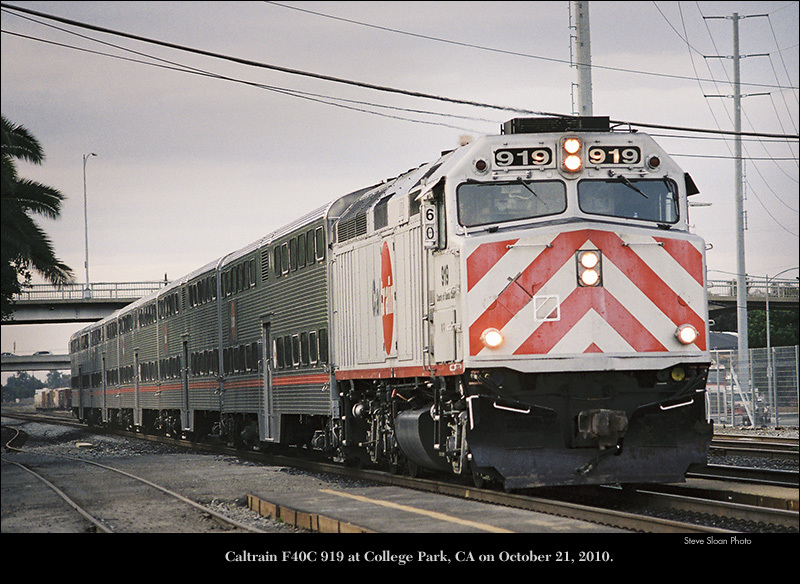 Caltrain F40 919 on October 21, 2010 at College Park, San Jose, CA. 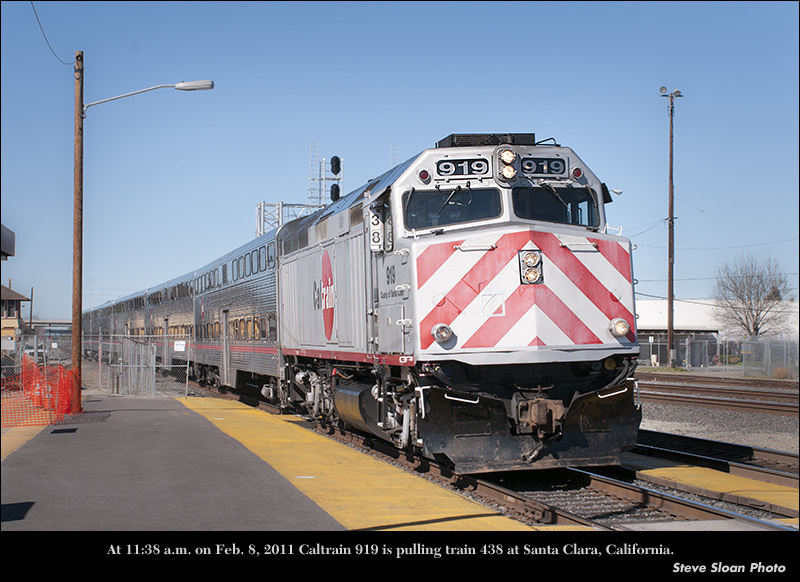 At 11:38 a.m. on Feb. 8, 2011 Caltrain 919 is pulling train 438 at Santa Clara, California.